In the 1990s, important fish populations along U.S. coastlines, including mid-Atlantic summer flounder, Gulf of Mexico red snapper, and Pacific coast lingcod, were so depleted that the government categorized them as overfished. 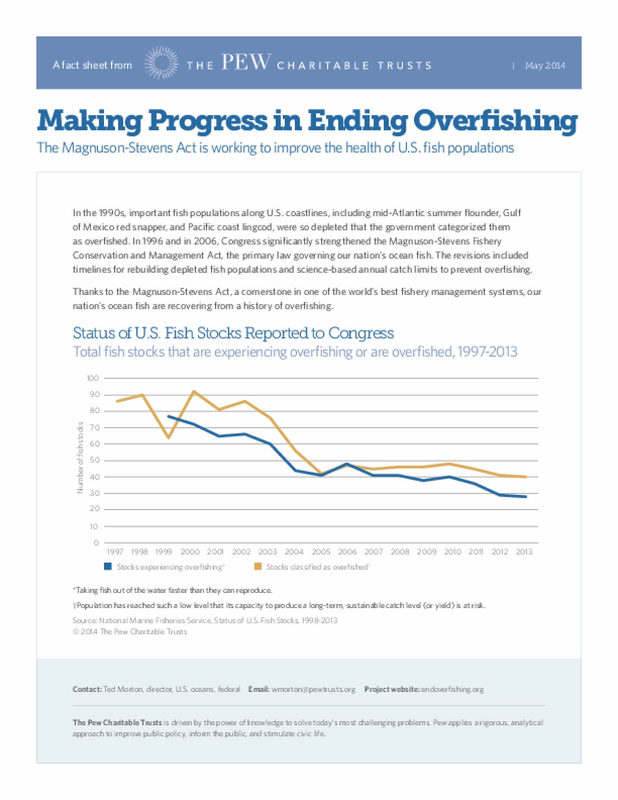 In 1996 and in 2006, Congress significantly strengthened the Magnuson-Stevens Fishery Conservation and Management Act, the primary law governing our nation's ocean fish. The revisions included timelines for rebuilding depleted fish populations and science-based annual catch limits to prevent overfishing. Thanks to the Magnuson-Stevens Act, a cornerstone in one of the world's best fishery management systems, our nation's ocean fish are recovering from a history of overfishing.